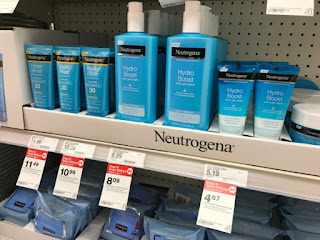 The Target Saver: Target: Neutrogena Hydro Boost Hand Gel Cream, $1.00! Target: Neutrogena Hydro Boost Hand Gel Cream, $1.00! This week there’s a new promotion on Neutrogena Hydro Boost Hand Gel Cream at Target. Buy three and receive a $5.00 Target gift card. Plus, even better look for a $2.00 rebate offer located in your Ibotta app. Make sure to look for the offer in your app first. This is an easy deal, Plus keep in mind this particular rebate offer has a limit of five, So it's a perfect time to try this new product.